Our daily excursions will take you to the best and hidden places of our island.Get ready to enjoy your long awaited vacation. We are passionate about our homeland and will take you to the best, hidden places of the south coasts. Let us take care of you while you do nothing but relax and have fun. 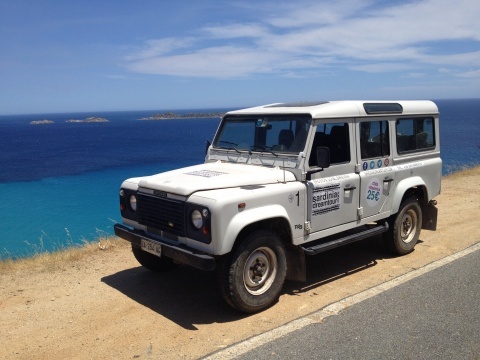 Welcome to Sardinia Dream Tour, your Sardinian adventure begins right here. Our excursions will leave from Cagliari city center to the most beautiful beaches and panoramas that the south coast has to offer, from Chia to Villasimius. We want you to feel the same passion for our wonderful land as we do and help you discover the Sardinia that only locals can see. Our tours cost 25 euros per person (including hotel pick-up if your hotel is not in the city center). We will stop on the way for taking stunning pictures before to have three swim-stops of 75 minutes each at 3 of the best beaches of the area (Chia or Villasimius). After spending 4 hours at the beach we will head back and we are going to stop in a panoramic area located in the heart of Cagliari where to admire Poetto beach and the Devil's saddle. On our way to the end of our excursion we are going to pass through the little streets of the district Castello and then end our excursion in Piazza Yenne or at your hotel for those outside the city center. Check out and "like" our Facebook page or follow us on twitter to show us your support and don't forget to watch our videos on Vimeo. We are dedicated to tourism in every possible way, email us for further information or for personally tailored excursions. We've got it all!